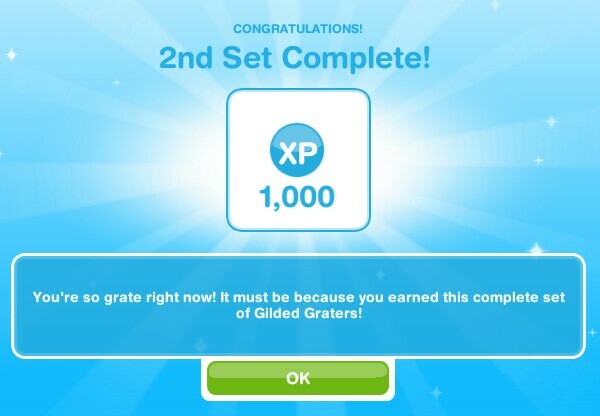 you get 1 lp for each time they hit level 6. also get extra simoleons and xp for level ups. definitely start each one over. i used the haunted house to restart all 6 sims at the same time. Is that still work in the newest update? I spent almost 1hour…. yes it definitely still does work. If you restart a hobby will your sims be at the same level as before? I think the Salsa Dancing hobby is the best. You earn the same amount of lps, without wasting ANY money at all! The options may be long, but all you need are two sims at level 6 and a jukebox. 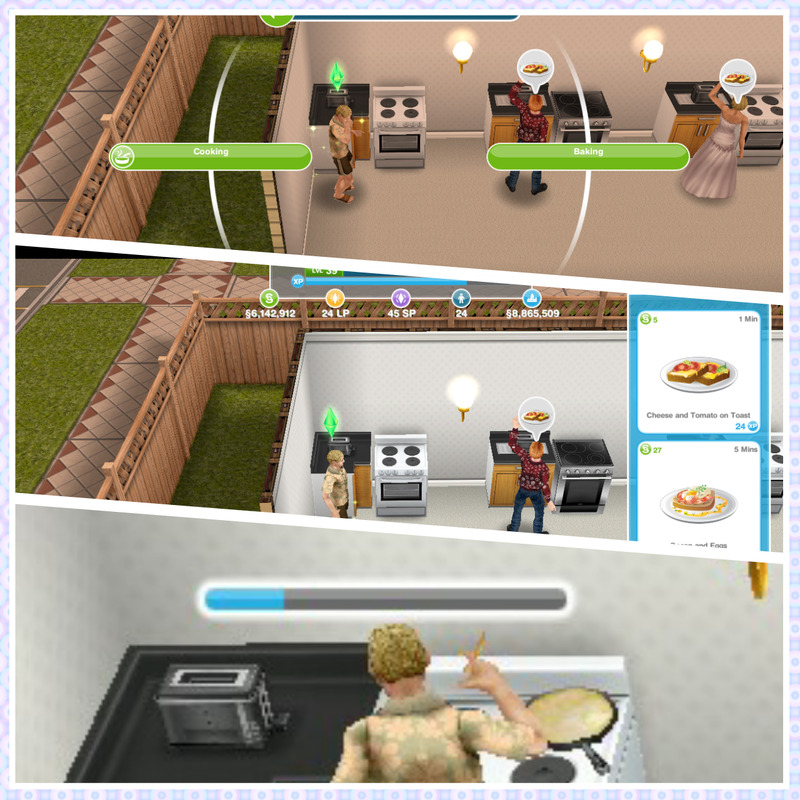 For the cooking hobby, you have to buy a counter top, toaster, and oven for each sim who is doing the hobby. This costs money. Then, you keep spending 5 simoleons to make the cheese and tomato. Since you often get an award you already have, you have to spend more money. And when you ARE done with the collection, you’ll do it again soon, and spend money. Eventually you’ll end up spending a lot of money just to get 5 lps, when you could have been patient and done the Salsa Dancing hobby too get the same amount. Although the prize you get there is also random, at least you save more money! And when you buy the jukebox, you can earn the money back by, what, sending just 4 sims to work? The cooking hobby is nice, but in my opinion, the salsa dancing hobby is the best if you want to get 5 lp quickly. Actually, even after I bought all of the kitchen stuff, I profited by thousands by the time I completed the collection twice. It only took about an hour, too! Salsa dancing takes much longer for the same thing. Yeah, I agree salsa dancing takes way too long, but I only have one sim who is a chef, as I have two salsa dancers, a fisher, a designer, a future woodworker, a horse trick trainer, two divers, and more. I also had to use lp to finish the second collection because he refused to get a bronze grater. Now I am waiting for him to get the remaining rolling pins, which he refuses to get. 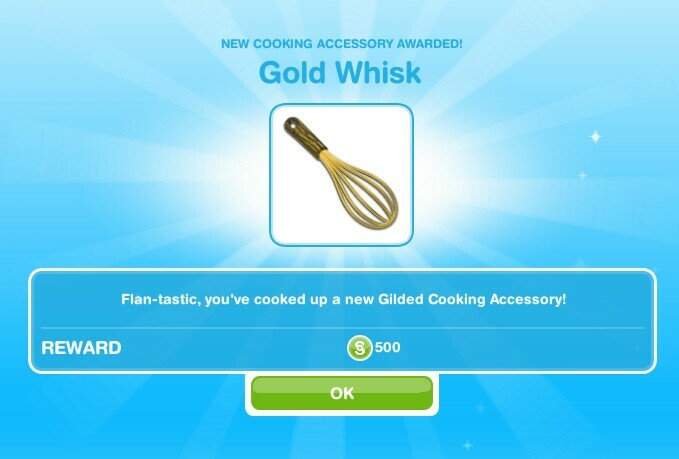 *Sighs* Oh well in the next quest when I make a quiche for La Grouch I’ll see if I get a level 5 cooking thingie majingie. And after I get my chopping boards I will see if I truly can complete the cooking hobby in an hour when I have only one sim. I am also not a huge fan of the salsa dancing hobby anymore, since I keep getting the same medals ove and ove again although they are both on level 6. And just in case anyone was wondering, no I am not mexican. My way of doing it is competing. I got 20+ LP in about a week. I have all my sims level up on their hobbies/jobs so each time I compete, the sims USUALLY get 3LP each time! BTW I look at your blog every day. Hi this is a question about the free LPs on the goals tap that you can get buy watching videos. At first I got them 1 a day but I haven’t been getting the option for a Video for at least two weeks now do you have any ideas why this might be happening? I haven’t been getting it either on my iPad, I don’t know why, sorry! No problems here, getting 10 videos w/rewards (simoleans, LPs and SPs) per day on iPad and iPhone. I’m in the U.S. Could this be a country-specific problem? I don’t think so, but I never used it anyway as it always made my game crash so I’m not really bothered! Out of curiosity I tracked what the new daily “button” rewards are, and discovered that they’re different on the iPad and the iPhone (sorry, don’t know about Android). iPad: every 24 hrs., S 2100, LP 2, S 1750, S 1785, LP 1, S 1820, S 1855, SP 1, S 1855, S 1925. iPhone (5c), also every 24 hrs. : XP 340, XP 360, LP, XP 380, XP, 400, SP 1, XP 440, XP 460, XP 480, LP 2. Interesting that there are no Simoleons on the iPhone and no XPs on the iPad! At any rate this adds up fast over a weeks time and is very helpful, especially for a newbie (me) who keeps impulsively redecorating! I also had to clear some memory from my iPads to keep the game from crashing and/or freezing with this update. The iPad 3 is more jerky than the iPad 4, no doubt due to processor differences. I don’t understand a few little things…..when baking why don’t you get dishes to serve at the end? What is the point in baking? Also why do some things go on fire? When making some plants why do you get the flame symbol or the carnivorous plant symbol? I think the symbols throughout the game confuse me most of all. Do you have a list of the, anywhere. No I don’t but that is a good idea, I will definitely put together a list of them as soon as possible! What do you do with all the cooked food if you do the rapidly repeated cooking? I already had set up what I call a “service station” for eating, toilet, showering, espresso, phone calls, etc. – all the stuff to inspire my Sims. Had to create another one when I added toddlers and preteens because I couldn’t get everyone at one house to start and end the day (I tend to play first thing in the morning and in the evening). I stopped worrying a lot about getting the prizes for completing the major quests, but some I’ve still managed to earn in time. 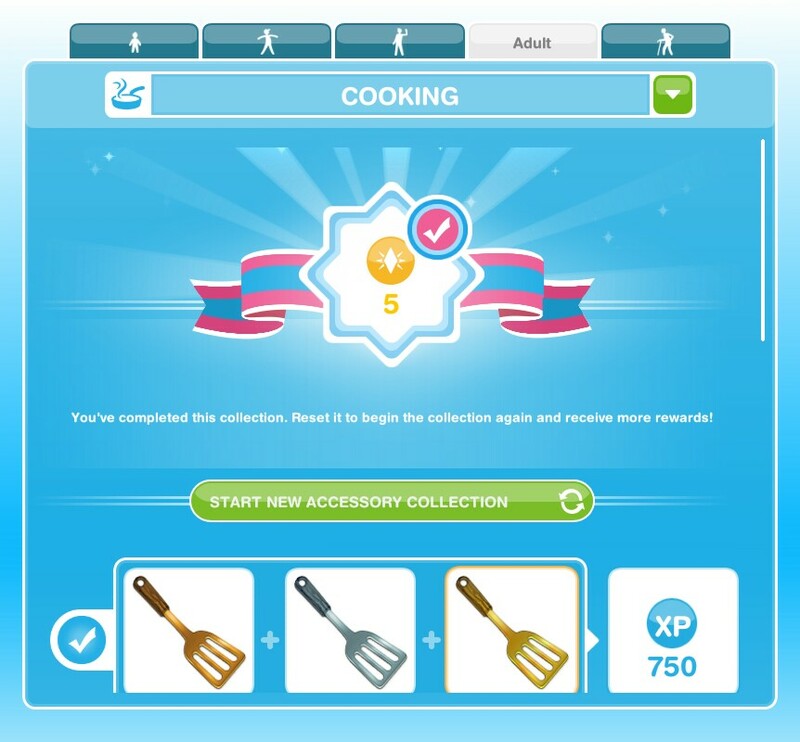 Then I saw your idea about earning extra LPS by working through the cooking hobby levels repeatedly, so I converted one house into a cooking house. After 3 repeats of cooking toasted cheese (8 Sims) I’ve run out of room for the food! Even added a couple of extra tables to hold the food that was on the floor. 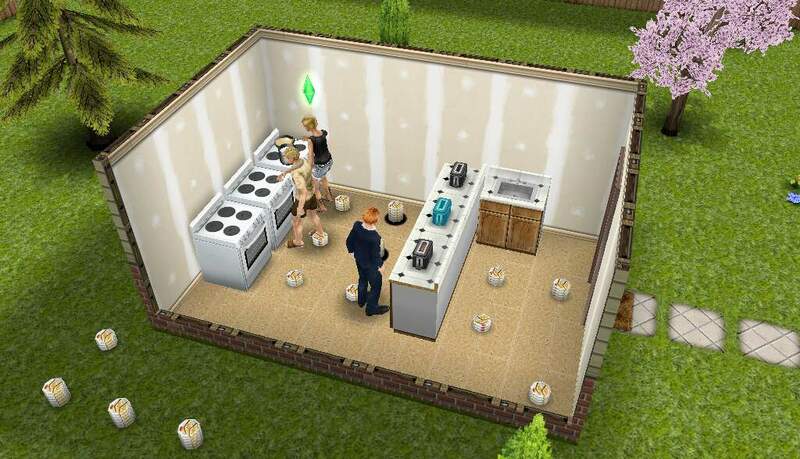 All the Sims will have to stand up to eat (can Sims get indigestion? ;). So do you switch back and forth between hobbies to take care of this problem? Also, am I correct to assume that the less time a meal takes to create, the less satisfying it will be for my Sims and they’ll have to eat more frequently? Your blog is terrific. I could have saved myself some real$ when I first started (oops, I gulped, when I looked at my iTunes bill the first month, from buying extra Simoleans and LPs) if I’d found you early on. I’ve sworn not to spend another real $ on this game, much as I love it! So thanks for the great tips and clear, concise information. Final question (for now): if I stop playing for awhile, when I come back will all my quests that I haven’t done yet still be waiting for me? I’m up to the multilevel quest now, Level 28, on my iPad 4 (also playing on my iPad 3 and my iPhone, so I’m my own Neighbor). I haven’t spent this much time on a game since Myst! Not usually much of a gamer at all, in fact. I’m totally sucked in! But life must go on! What do you do with all the food? Ran out of room when I tried this. you need to clean it up, it says in the post. Feeling red-faced here☺️ ! Didn’t realize you could “clean up” uneaten food! Thanks for your patience! Yes, but that generates less income, experience and LP than cooking with the same time invested. This is amazing. I just earned about 50 lifepoints in a couple of hours and it used to take me almost a month to get that much. This is THE best way to earn LPs. Thank you so much. Sounds awesome! I am gonna check it out! Thanks weightlessmagic. 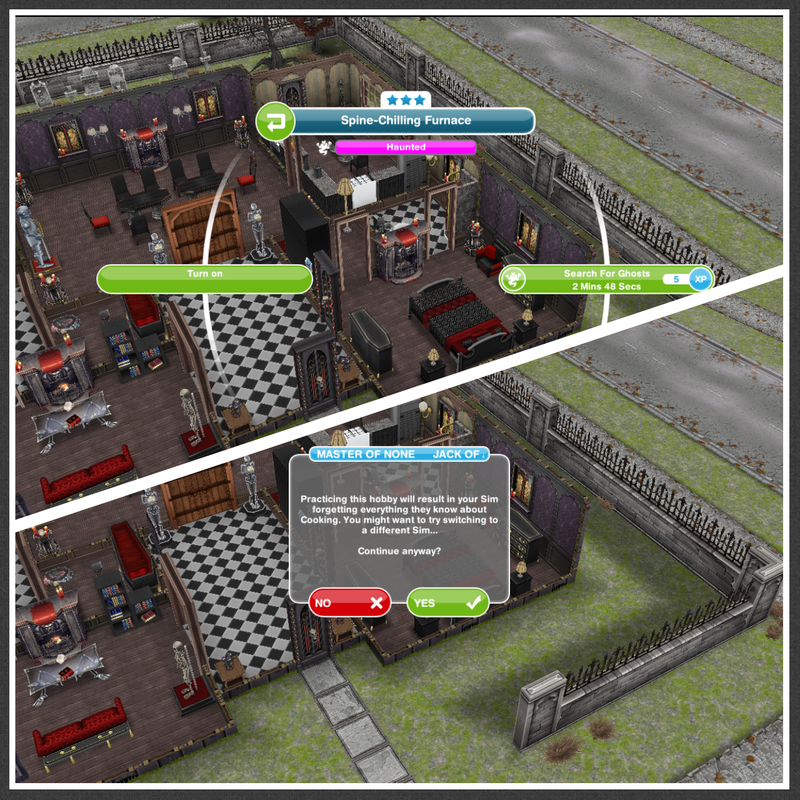 Your posts are awesome, like you 😊 Have you got any tips like this for simoleons? why don’t I have the free life points button? I don’t know, I have it on one game but not the other and I don’t know why. thank you!!! this also helps with sp because you can use the lp you get to play the sp flower!!! 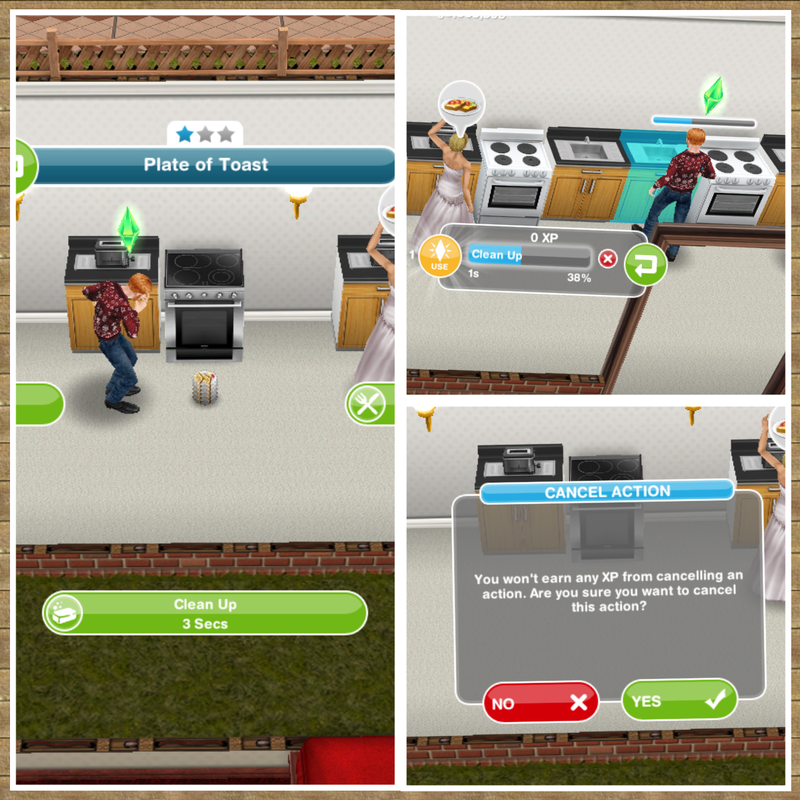 Another quick way to clean up all dishes – quickly send all sims present (more sims faster cleanup) to pick up one dish each, they’ll all try to take it to the trash or sink and wahlaa! All dishes are gone!